On August 1, 1347, the city of Calais in France had fallen. The siege had been long, over 8 months, and the citizens were proud of their massive castle which was over 1,000 yards wide, surrounded by two moats, and protected by the sea at its back. The terms of the surrender were the lives of the six noblest men in the city. These men, called burghers, were to leave the city with a noose around their neck and present themselves and the keys to the city to the conquering king, Edward III of England. The most prominent of them all was Jean d’Aire and his face says it all. Over 500 years later the citizens of Calais asked sculptor August Rodin to commemorate that day with a statue of all six burghers marching to their doom. He complied and ended up creating one of his best masterpieces. The bust you see above is but one part of the statue, albeit the most famous. 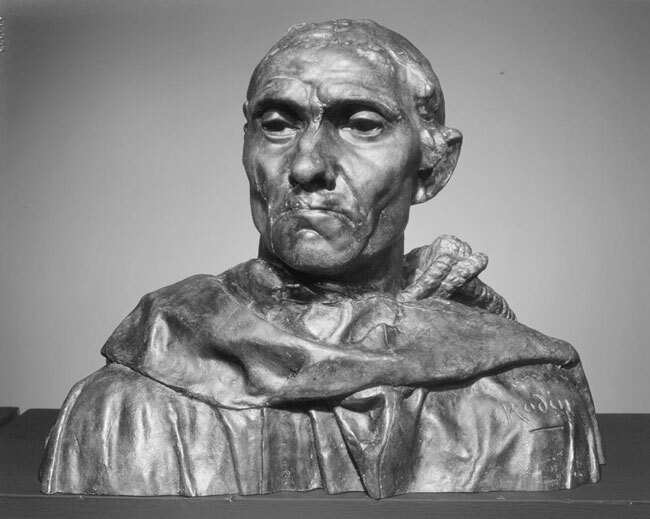 In later years Rodin would create several copies of that face for busts and in giant size. Today, you can find these copies all around the world at museum, parks, and in Calais. A piece I found in the Summer 2011 Edition of Pelican Hill Magazine that profiles the best peak-action sculptor in the world. 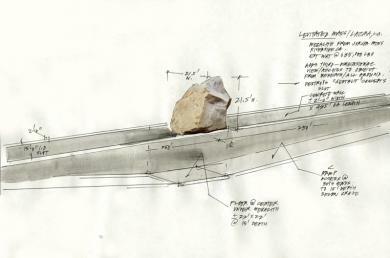 I love sculpture as an art form and so I eat up stories like this. 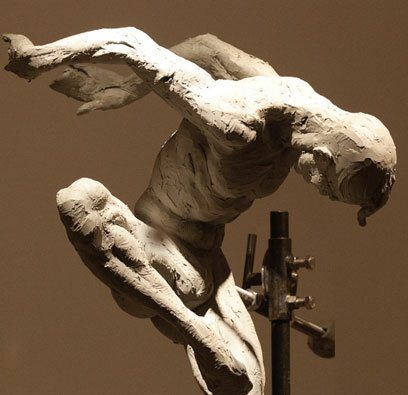 Richard MacDonald first noticed the small group of men and women gathered outside his hotel as he was leaving for one of his art openings about six years ago. MacDonald, one of the foremost figurative sculptors in the country, recognized an avid collector among the waiting entourage. When he arrived at his gallery in downtown Laguna, which was packed with more than 1,000 people to see his latest work, MacDonald spotted the same group again.They were all dressed in black tie attire, although the opening was not a formal affair.This time one of the women, wearing an evening gown, approached him.